ArcGIS Desktop has the option of using basemaps from ArcGIS online. Does QGIS have any such options? 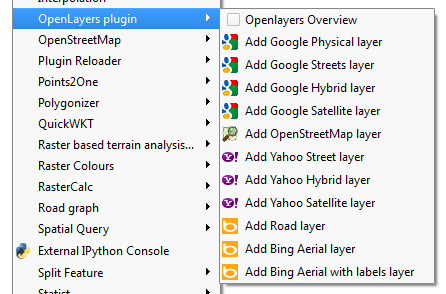 Original: Use the OpenLayers plugin to get Google Maps, Bing, OSM or Yahoo background maps. 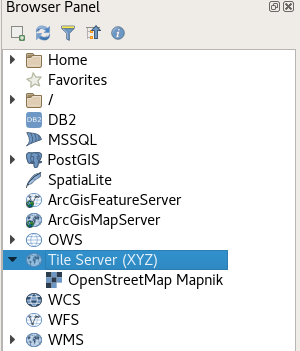 There is a core functionality XYZ Tile Server provider which was implemented with some other nice UX enhancements for tiled services (available since QGIS 2.18). This means, that there is no need for an external plugin although for an easy setup you can still use external plugins (see bottom of this post) and it offers various improvements over pure plugin based solutions. In the browser panel, locate the Tile Server entry and right click it to add a new service. Enter the URL of the service which you would like to use, replacing x, y and z parts with curly brackets substitution as can be seen below. Double Click the newly created entry to add the layer to the map. Not the answer you're looking for? 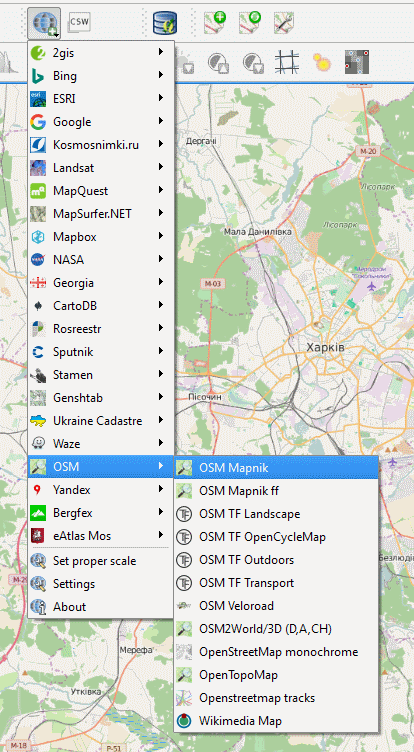 Browse other questions tagged qgis google-maps basemap bing-maps or ask your own question. Using Bing Maps background for QGIS? How to add ESRI Vector Basemaps to QGIS?